SS FLAT SIDED BUCKET PAIL 6.5Litres - TWO HOOKS - 120_FEEDING & WATER ITEMS, Buckets, Stainless Steel - Product Detail - Prestige Pet Products Pty. Ltd. The use of stainless steel in kennels and around the home for pets has many benefits, namely hygiene, ease of cleaning and durability. 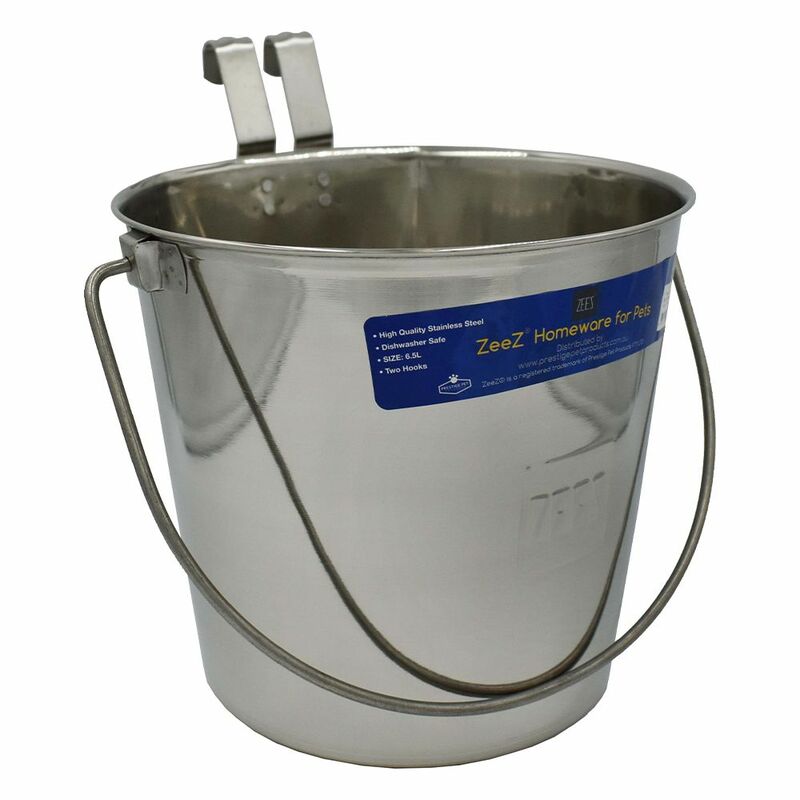 The Flat Sided Stainless Steel Bucket attached with two hooks has proven to be suitable for a multiple range of uses.